The Garden Club of Weaverville’s Annual Rummage Sale, held on May 6th, was a huge success. Hand-blown glass artwork, rugs, garden tools, plants and more flew out the door at bargain prices. 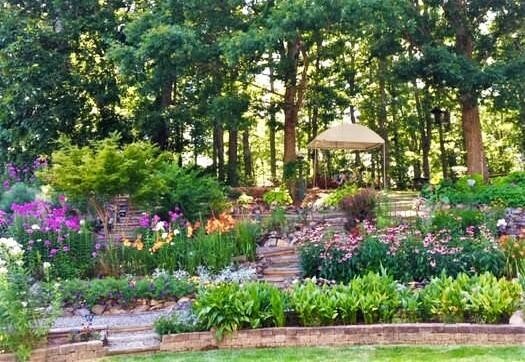 Founded in 1973, the Garden Club is a co-ed non-profit open to everyone which works to contribute to the knowledge and enjoyment of gardening. The sale raised nearly $2000 this year and will provide funds for the beautification of downtown Weaverville parks, garden spaces and flower beds to help us keep Weaverville beautiful! Proceeds from the Rummage Sale also helps buy supplies for the holidays wreaths, ornaments for the trees we decorate in the heart of town, and helps us support the Main Street Nature Park. A big thanks to all our members who supported the sale by donating items and giving their valuable time to help set up, price items, bake yummy goodies, provide food for the volunteers and work at the sale. Everyone’s participation is much appreciated and made our one and only yearly fundraiser so successful. A special thanks to the Town of Weaverville for the use of the community center overlooking beautiful Lake Louise and to The Cottage Door Consignment Boutique which gives us hundreds of items to sell each year. Members can support the Garden Club all year long by taking items to the Cottage Door and donating them to be sold for the Garden Club’s account. Copyright © 2017. All content on this site is the property of The Garden Club of Weaverville in North Carolina unless otherwise noted.